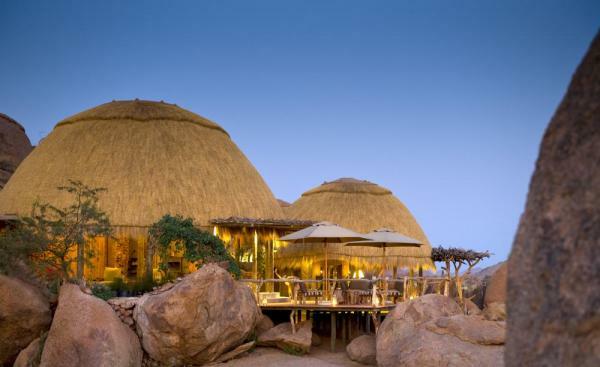 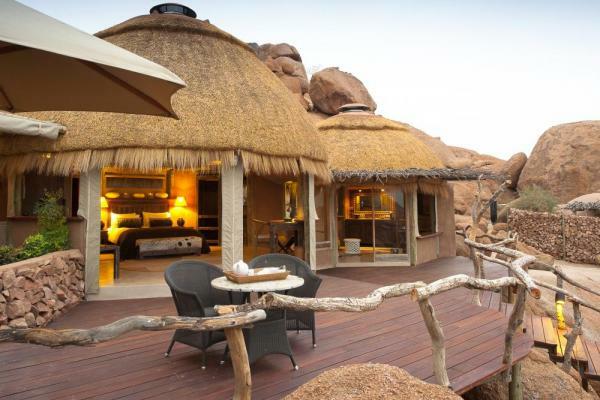 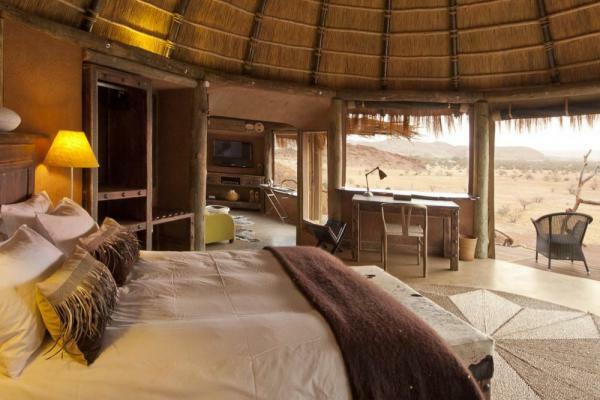 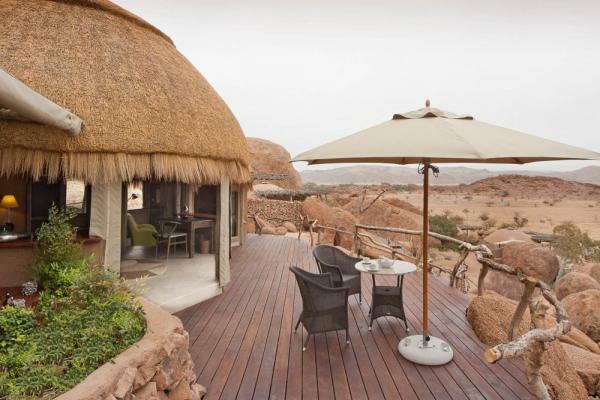 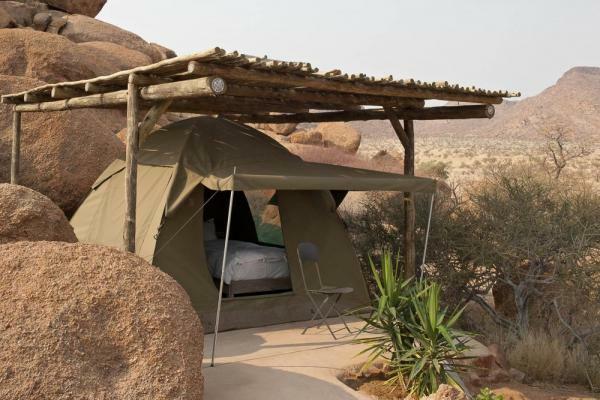 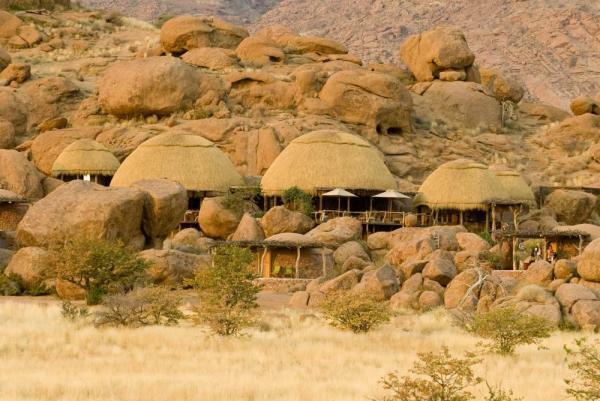 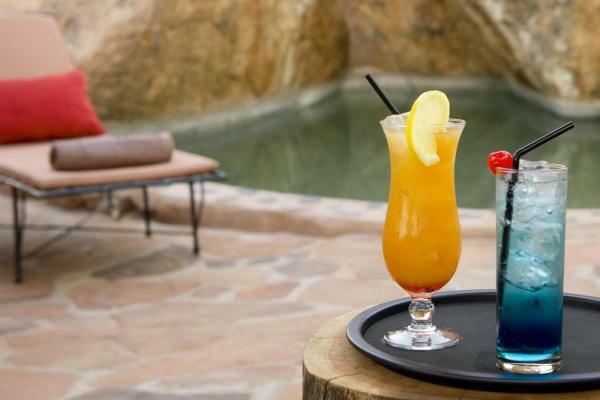 Built into large granite boulders in Damaraland, Camp Kipwe offers travelers a unique Africa safari lodging experience with a natural organic feel. 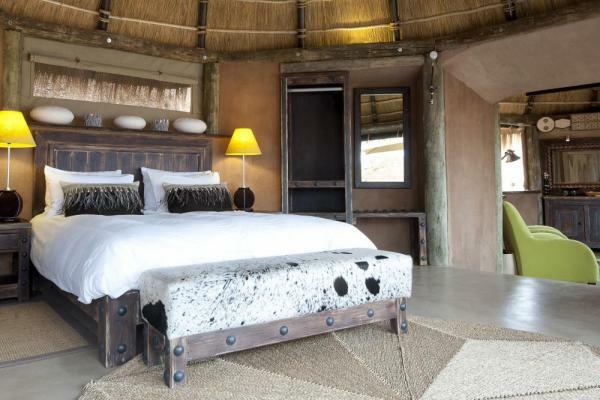 Each of the nine round rooms house a comfortable beds with nice linens and cozy duvets, bed side tables, lamps, additional seating areas, and an open air bathroom. 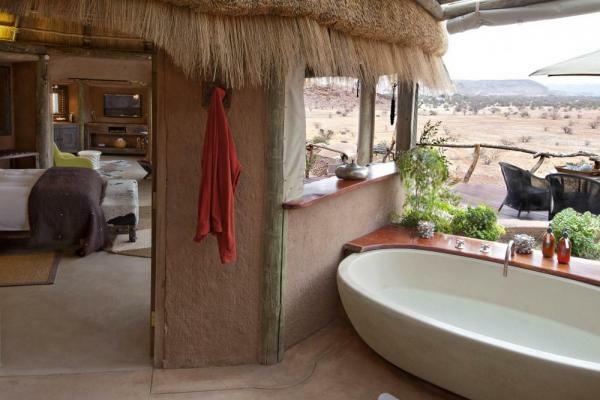 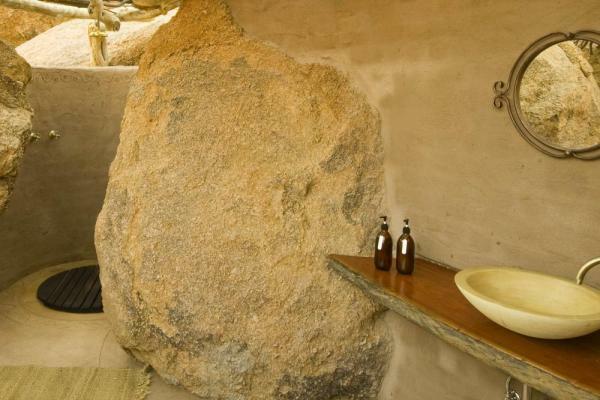 The bathrooms are also designed around the boulders, so you may find yourself showering between two rocks, with a toilet behind a large boulder. 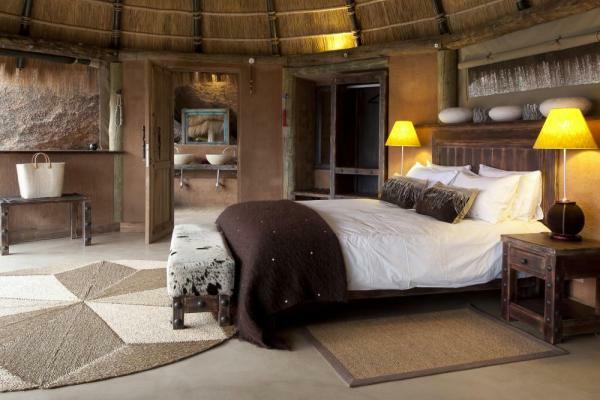 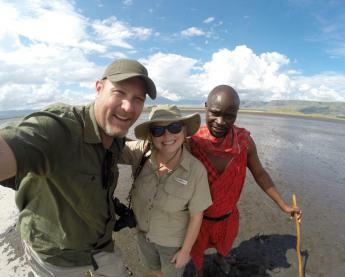 The common areas include a large dining room with a balcony, a comfortable lounge area filled with sofas, a small indoor dining area from which guests can view the kitchen and watch the food preparation, and a traditional boma. 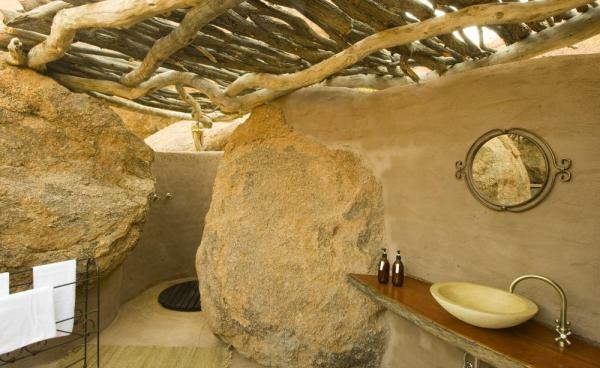 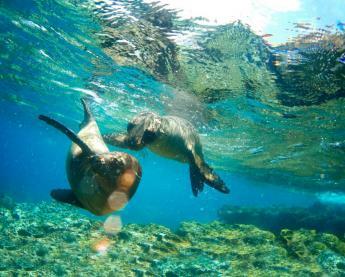 A small swimming pool built into the rocks and a lookout with 360 degrees of awe-inspiring beauty, are two other alluring outdoor features.